The central tenant of Quality by Design (ICH Q8) is that quality cannot be tested into a product – instead it must be designed into the product. 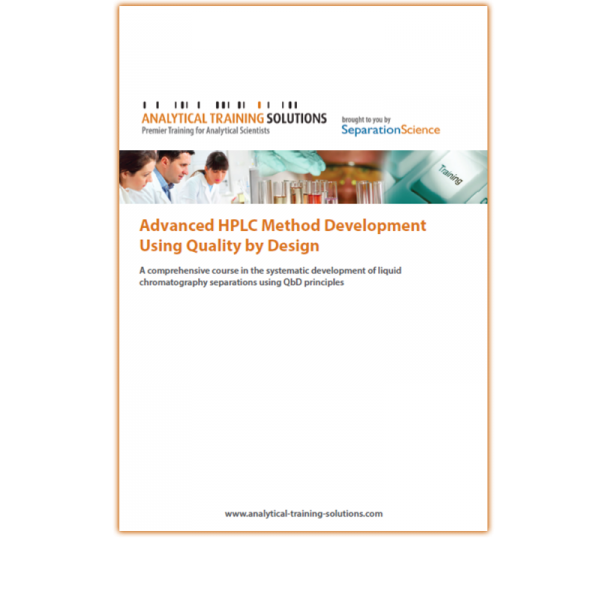 When the product is an HPLC method, QbD strategies can guide the development process to result in a standardized method development prcedure, more easily validated methods, and methods that are easier to use and adjust in routine applications. “Advanced HPLC Method Development Using Quality by Design” is an intensive online class that teaches you strategy and technique to develop high-quality HPLC and UHPLC methods quickly and with confidence. You will learn a time-proven technique that walks you through the method development process a step at a time using sound chromatographic principles to help make the process more efficient. The techniques can be used as a stand-alone strategy or added to existing development procedures to help streamline the process. 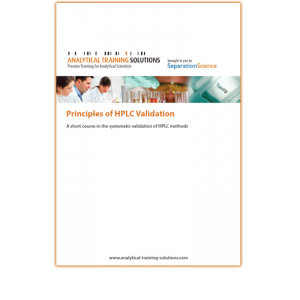 Because the same principles apply to HPLC and UHPLC, you can apply the same information for the development of UHPLC methods. How the column plate number, selectivity, and retention can be used in a logical way to solve even the toughest separation problems. 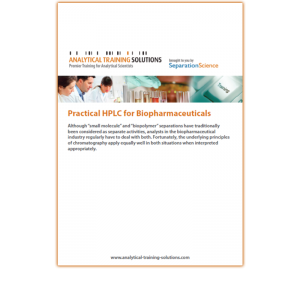 How to use mobile phase solvents, pH, temperature, chemistry, and other variables to pull apart difficult-to-separate peak pairs. How gradient elution works and how to remove the mystery of optimizing gradients. How a scouting gradient can be used to speed the development of both isocratic and gradient methods.